If you have student loans piled up like most Americans, you’ve probably wondered (to varying degrees of seriousness) what happens when you stop paying your student loans? Years of college is generally the way to go to build yourself a better future. A higher education should be able to get you a pretty nice paycheck at the end of every week, however years of college can also leave you with some pretty hefty school loans. Unfortunately, college is expensive, times can get tough, and you may find yourself choosing between making that student loan payment or put food on your table. If you are considering stopping payments on your student loan, here are seven different things that can happen when you stop paying your student loans. If you stop making payments on your federal student loan, it will move to “delinquent” the very first day you are late. It will take about 90 days for the three major credit bureaus to get notified, in which case your credit score will then be affected. Once your federal loan has moved into default, after 270 days of non payment, you will now be responsible for paying the whole balance in full. You are out of time to make up missed payments at this point. If you have loans through private lenders, they likely will not be as forgiving as the government. In fact, some loans will find themselves heading to collection agencies after two to three payments, whereas others may not go into default until about 120 days after your first missed payment. If you stop making payments on your federal loans, the government can step in with some pretty harsh consequences. For example, they can garnish your wages, and take back any tax returns that you may be owed, and also take a part of other federal funding that you may be receiving. The longer you put off making a payment, the larger your payments will get, due to the interest your debt will accrue. If you are already struggling to pay now, it will only get worse, until you take some sort of action. Once the credit reporting agencies have been reported to, your credit score will suffer. With poor credit you will likely struggle to qualify for other future lines of credit, whether for a car loan, or credit card, until you can bring your score back up. Both the government and private lenders could potentially sue you, for not making payments on your student loans. In fact, if the government wins, they can place a lien on your assets, until the loans are paid off, fully. Once the collection agencies step in, not only will you be receiving a slew of phone calls and letters demanding money, you will also be hit with extra fees from the collection agents. Any way you can! 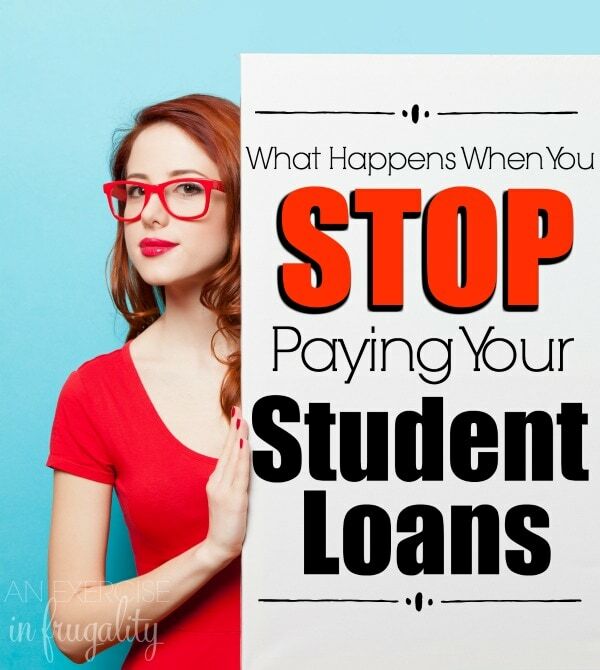 You can work a side hustle (this is a great post on how to make extra money) or work on getting a budget in place, but no matter what you do, don’t put off your student loan payments. 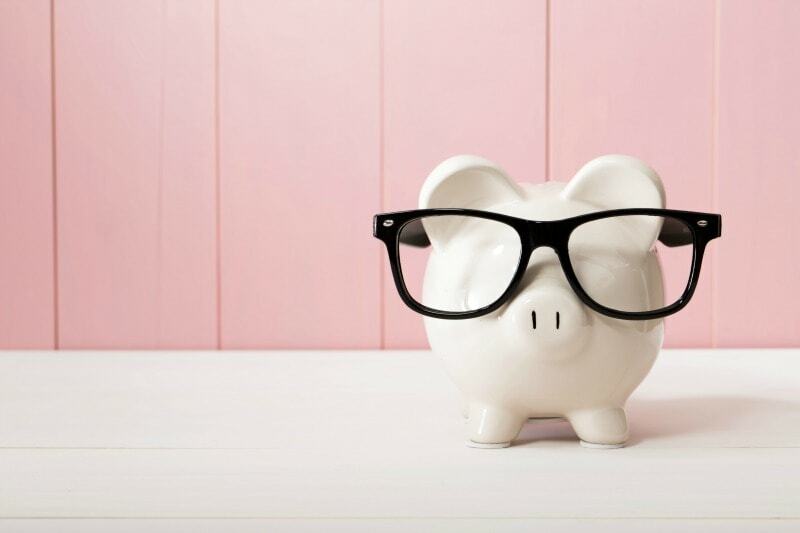 Even little things like using smart money apps and reading some of the best personal finance books can help you figure out a plan (and a budget) and stick to it. What do I do if I can’t pay my student loans? 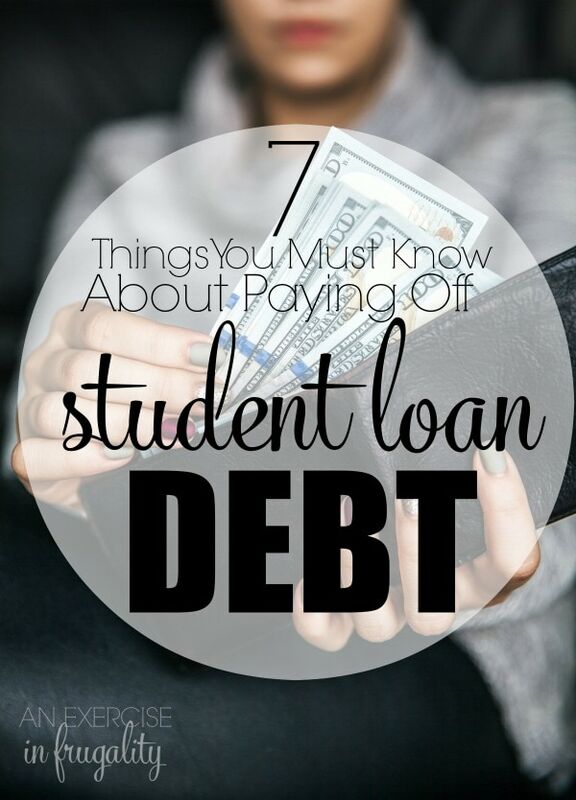 The first thing you need to do is get in touch with the student loan company. Often there are financial hardship options like forbearance or deferment that can help, at least temporarily. Some also offer sliding payment scales or other graduated repayment plans. Whatever you do, don’t ignore them. I stupidly put off paying off one of my student loans. I don’t even remember why. I got a couple letters, but I didn’t read them. BAD PLAN. I spent hours putting together and filing our taxes, looking forward to a nice big juicy tax return that we were going to use to take a 7 day cruise (our first REAL vacation since our honeymoon 5 years ago). Instead I got a letter in the mail saying our ENTIRE tax return had been seized to put towards my student loans from 2001. Needless to say I was devastated, and I felt SO guilty that my husband was going to miss out on our vacation we had planned with our best friends because of my stupid mistake. Don’t do what I did! Communicate, keep track of your payment arrangements and don’t put your head in the sand. Oh, and remember that you can’t get out of student loans by filing for bankruptcy, so avoiding them is out of the question. Both are options that may be available to you when repaying your student loan. During a deferment, you are not responsible for paying the interest that accrues, but you do with forbearance. You can read more about these student loan repayment options here, and check with your student loan servicer to see what options are available for your specific situation. Have you ever had difficulty paying your student loans? What tricks did you use to get back on track?